Lucy Liu | 15,000kms of Food! New hip and happening Lucy Liu is the latest Flinders Lane (or close enough) restaurant to grace us. 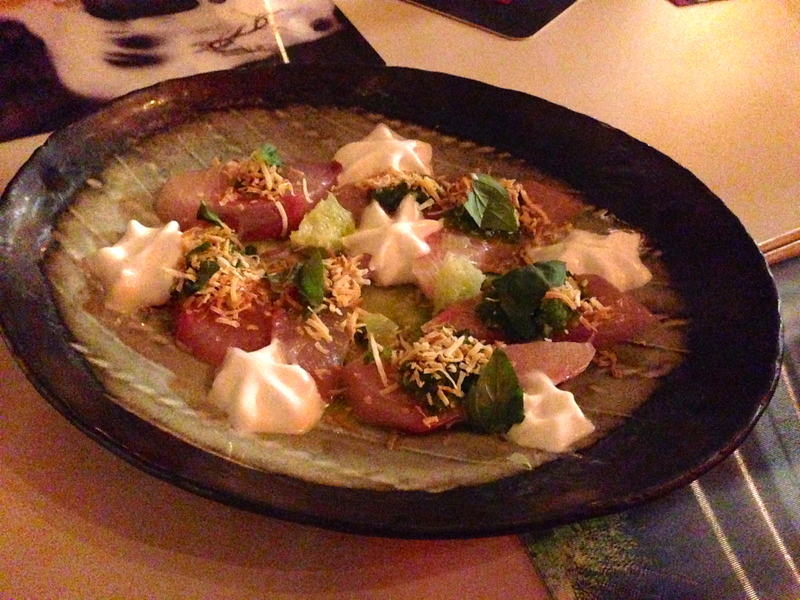 It was great food, and strong competition for Coda and Supernormal (asian inspired etc etc). For some reason, the entrance was at the back and someone went a little crazy town with the red lighting in there. Totally unrecognisable to me from the old PM24. As per most of my food outings now, I’m a bit too lazy to decide on the menu so we decided to let Lucy choose 7 plates for us. 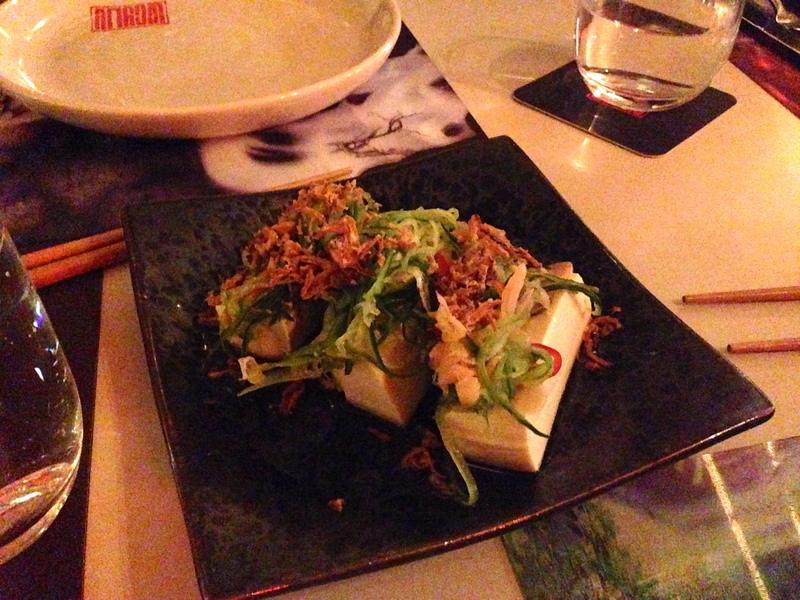 Some of us don’t eat oyters, so we got the “organic tofu with cucumber, mint and pickled ginger“. 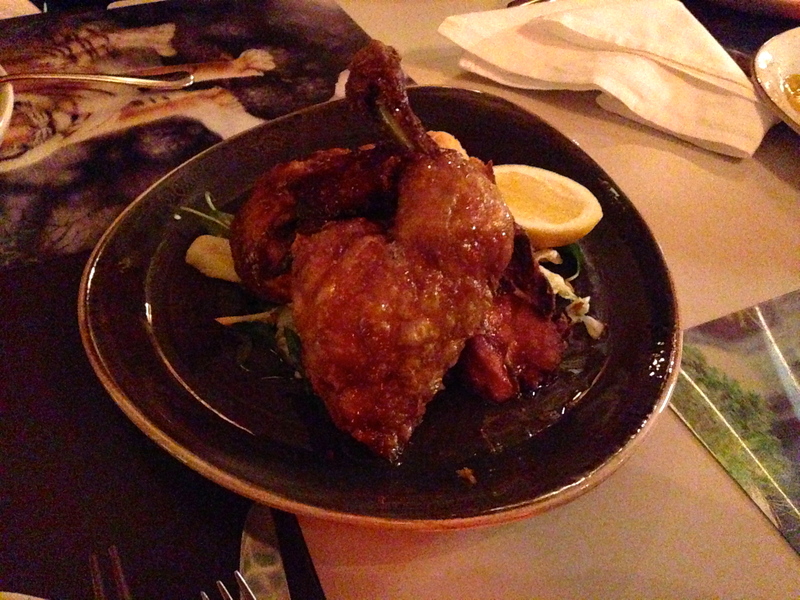 I would suggest not ordering this dish if you had choice. It’s nice but really quite dull. 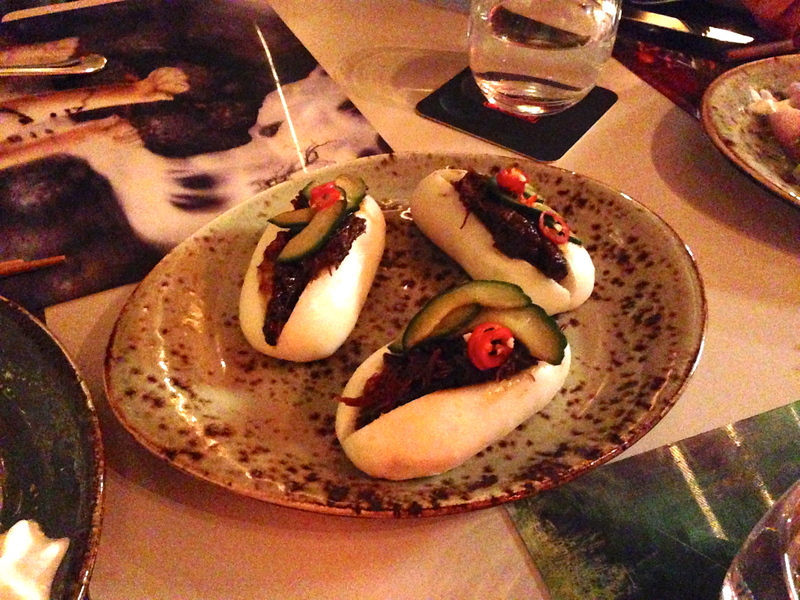 The “steamed sticky beef bun with cucumber, hot chilli and black vinegar” was a rich and tasty mouthful. 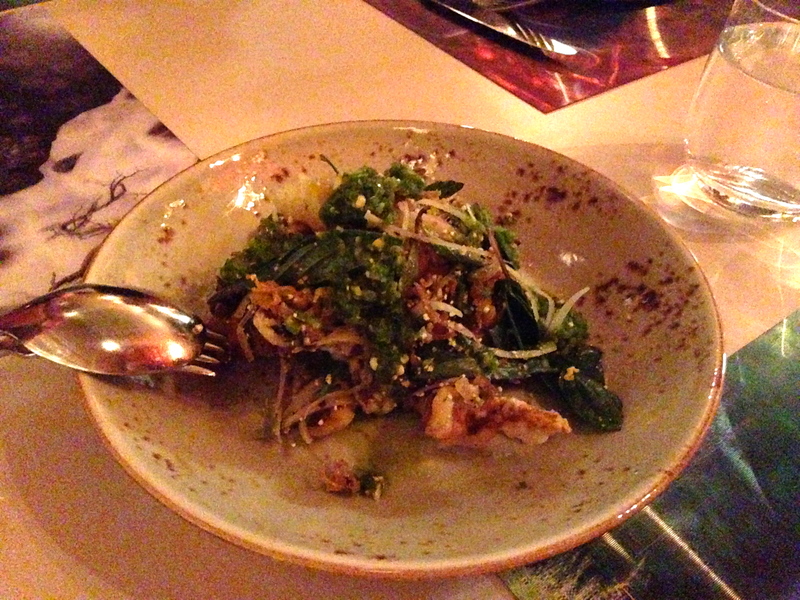 “Tempura soft shelled crab with hot green nam jim” was great. The “crisp masterstock free range chicken, bamboo salad, nam prik and hot & sour dressing” was tasty, but the party agreed that the chicken was too tough. Especially the white meat. I wouldn’t order it again. 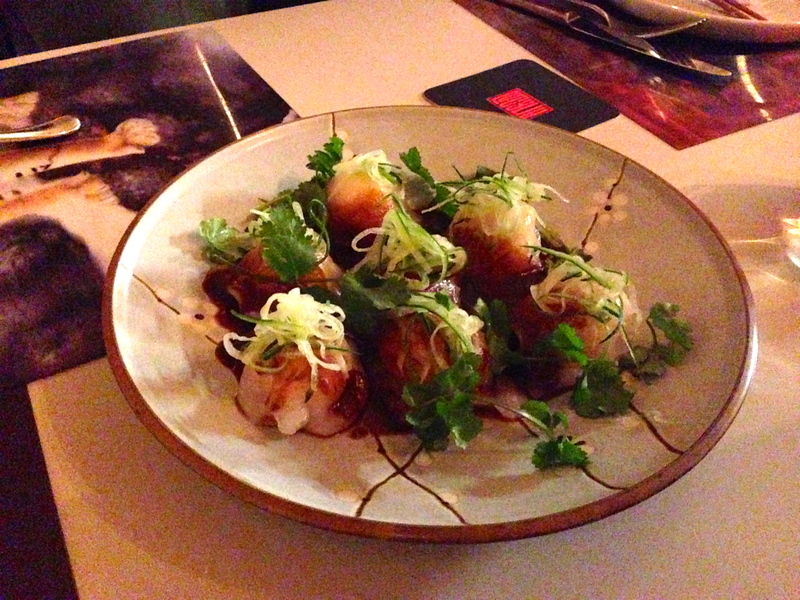 Okay, I take back my earlier call about the prawn dumplings being the best dish of the night. 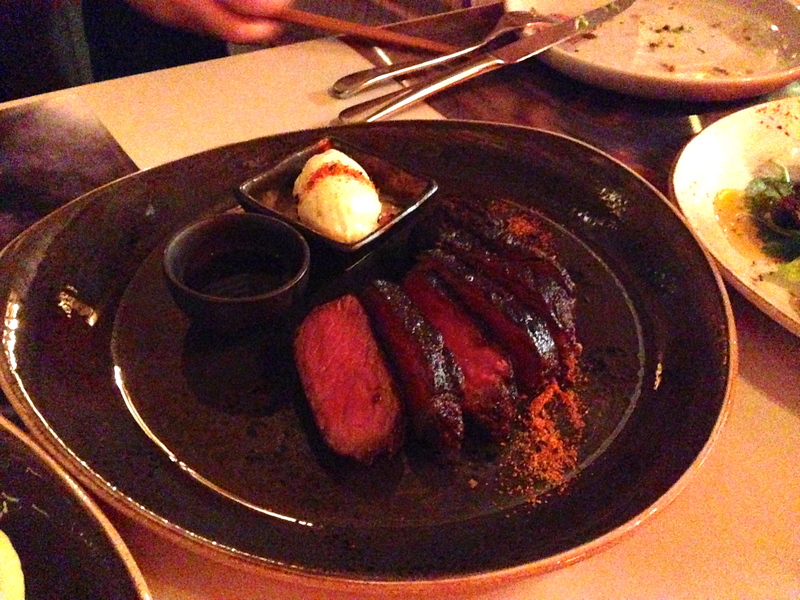 The best was the “Lucy Liu wagyu been with yakiniku dipping sauce & hot mustard horseradish“. It was perfect! The beef was melt in mouth perfection and the sauces were excellent. 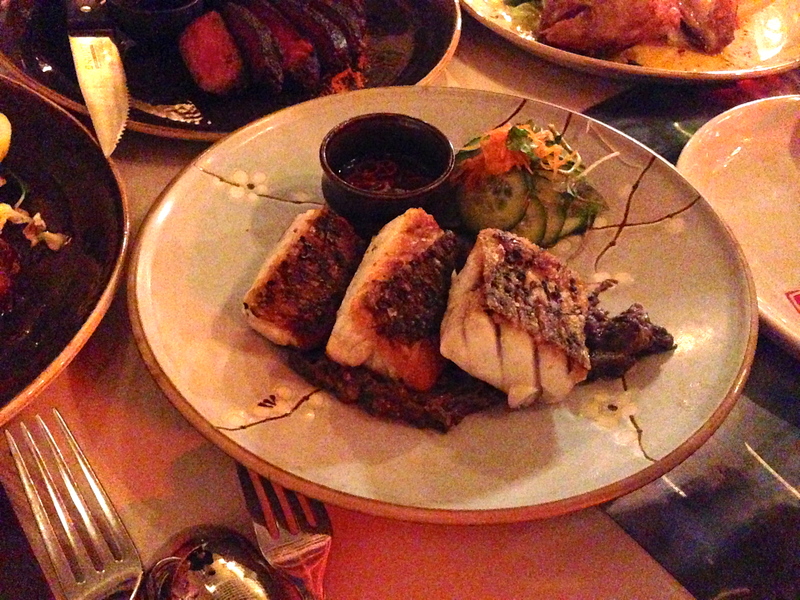 The “roast barramundi fillet with black bean and chilli sambal and nouc cham dipping sauce” was another winning dish. Perfectly cooked fish and great sauces. This was how our meal ended. I’m not sure if they were ushering us out for the next sitting but we didn’t get dessert! Regardless, dinner was very good and I’d gladly go back to try some other dishes (as well as ordering those prawn dumplings and beef! ).